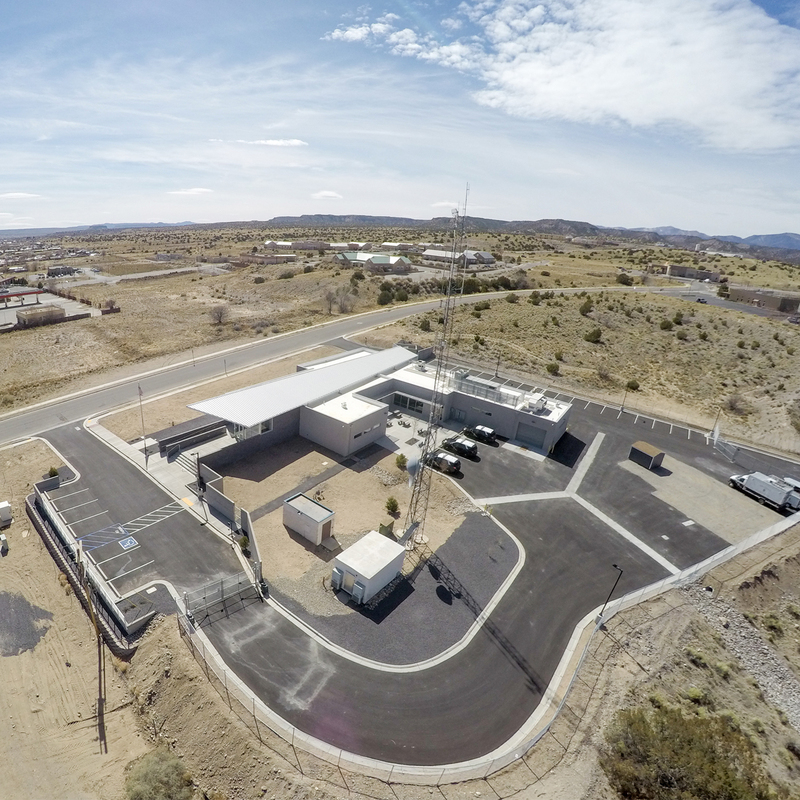 The Espanola Department of Public Safety facility is a new State Police facility that is replacing an aged and obsolete facility that did not meet the agency’s current demands and needs to effectively serve the community. 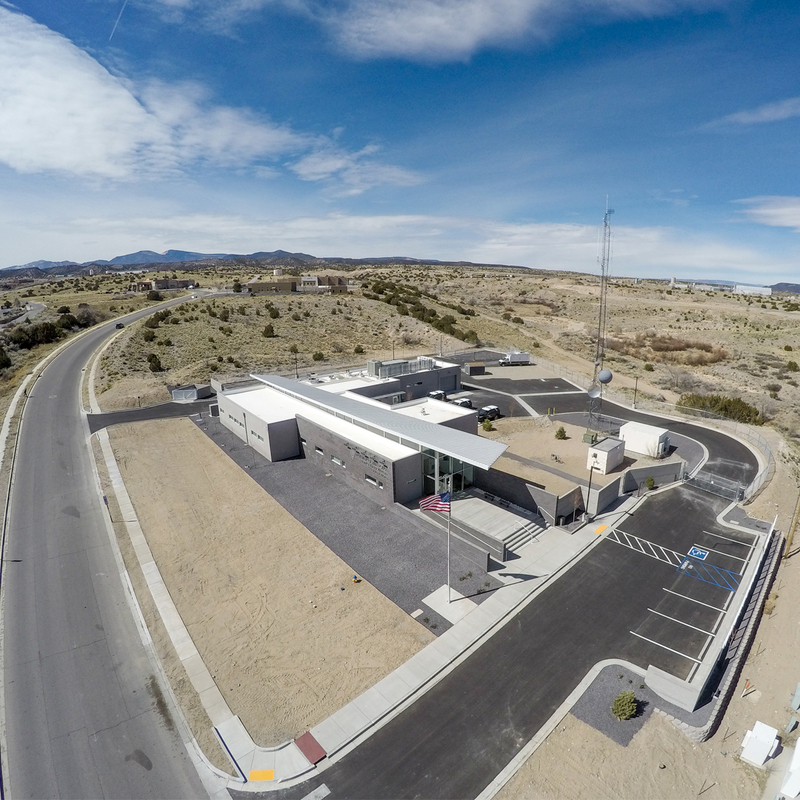 The New Mexico State Police outgrew their previous facility due to an increase of calls and cases in the area served. 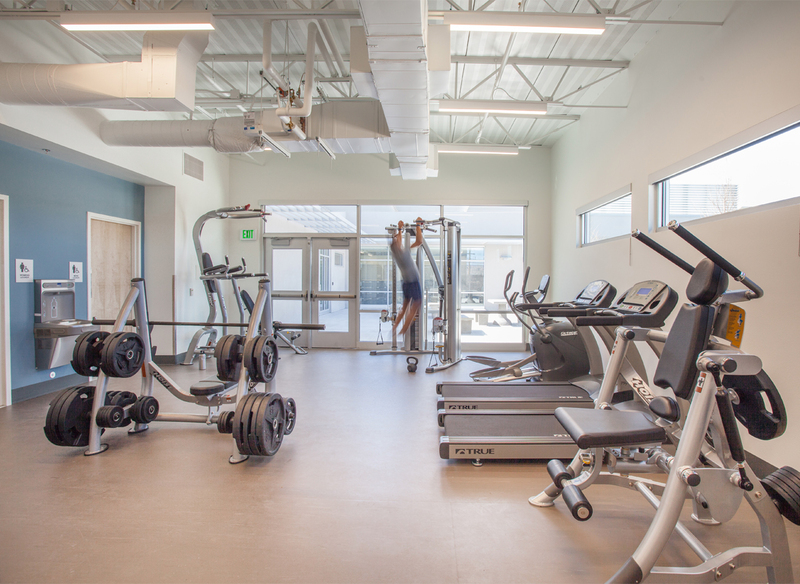 Also, the former facility did not meet current code or accessibility requirements and is cost prohibitive to update and expand the facility. 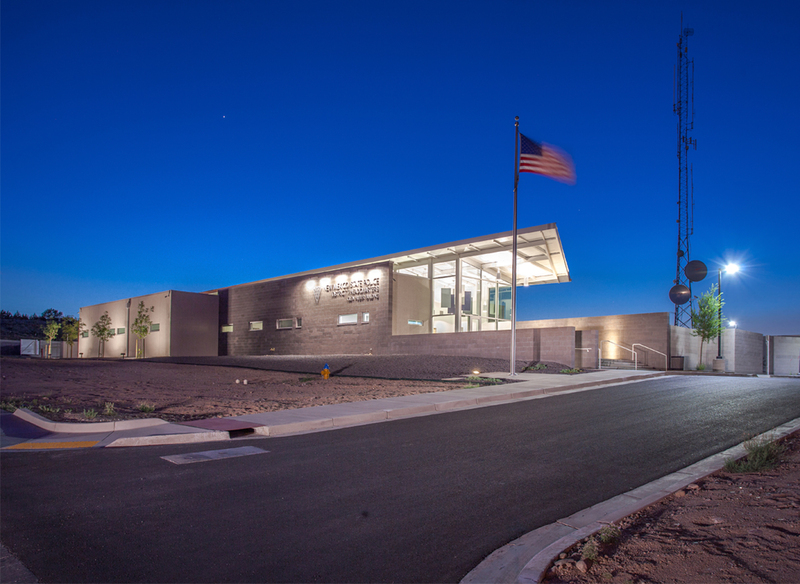 The new building for DPS D-7 provides basic agency support facilities and operates 24 hours a day, 7 days a week on a continuous basis. 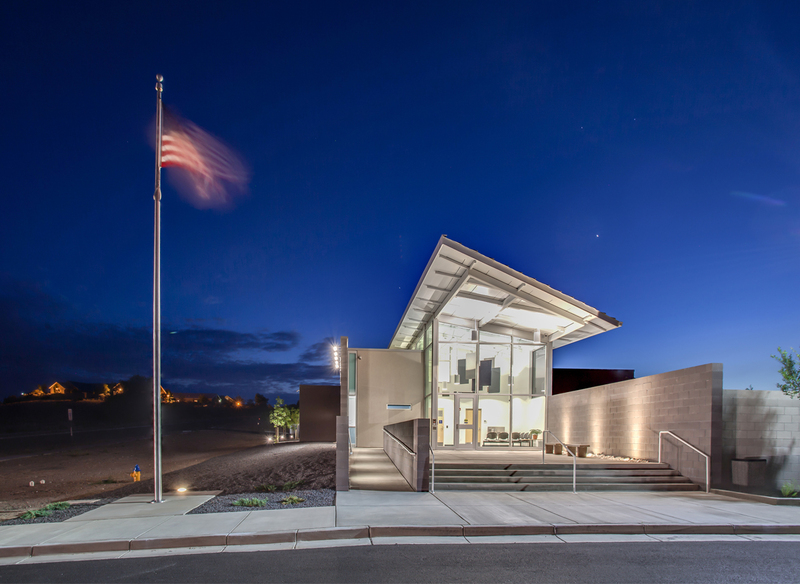 The Hartman + Majewski Design Group validated and updated an outdated program to accommodate the needs of the agency in response to a growing and rapidly changing community. 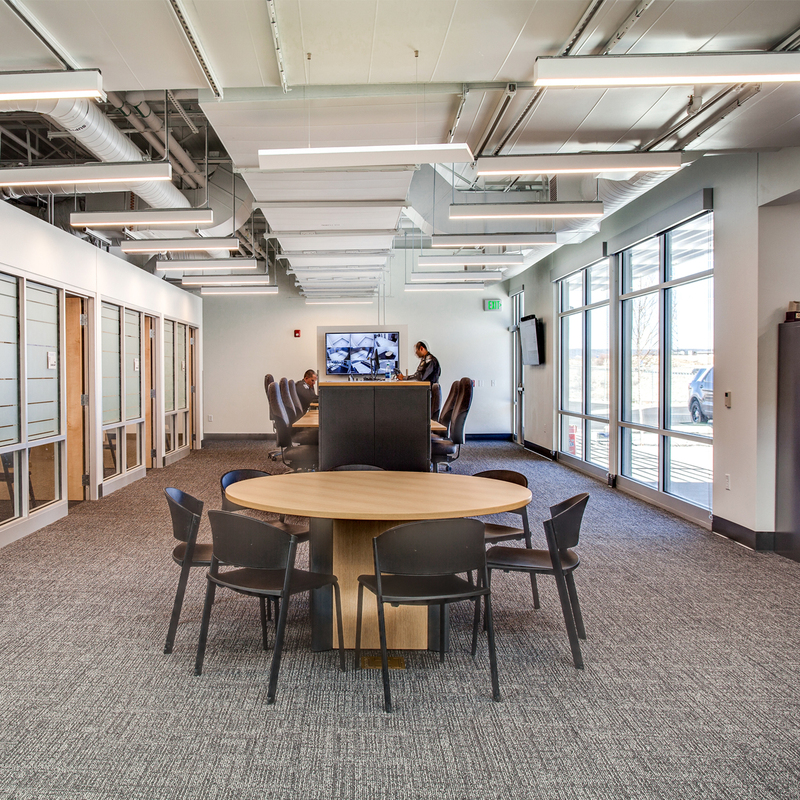 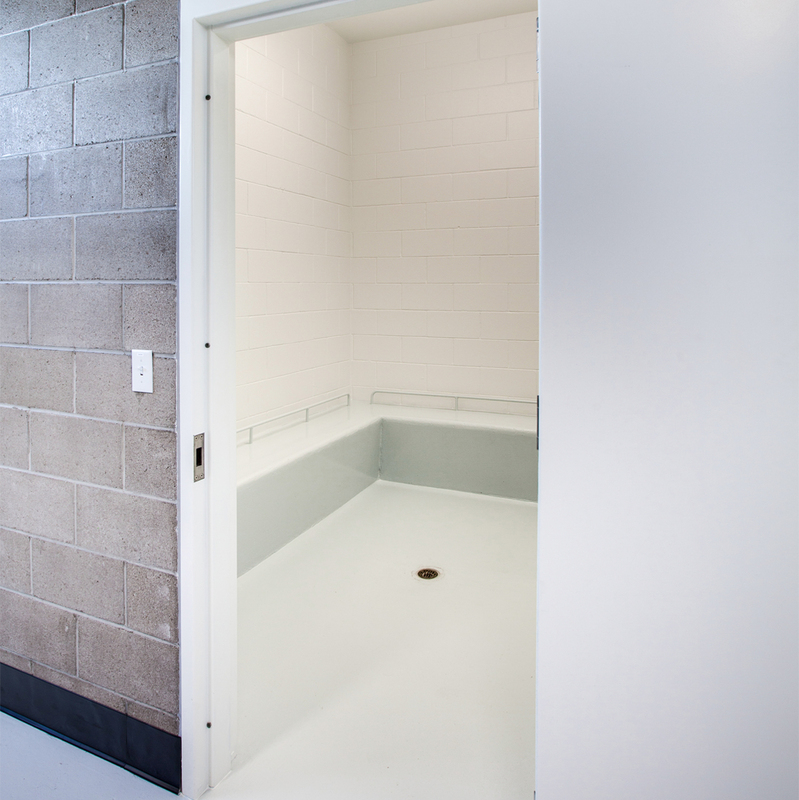 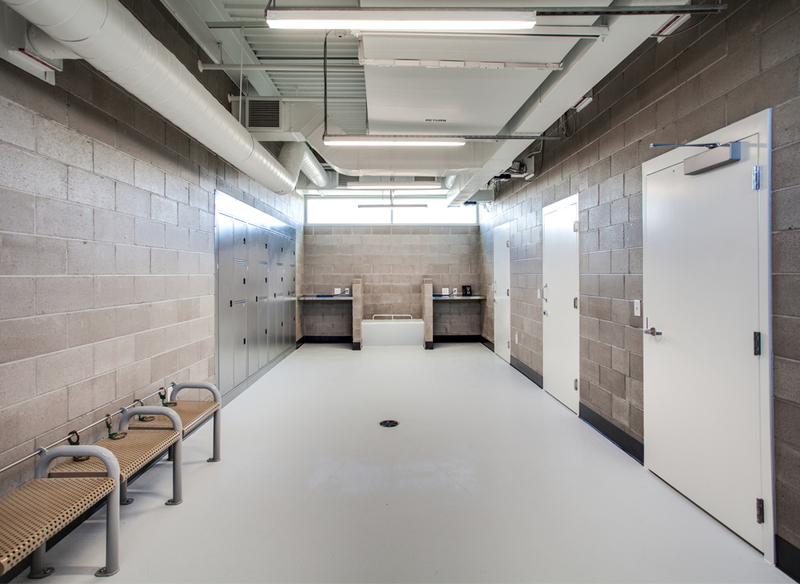 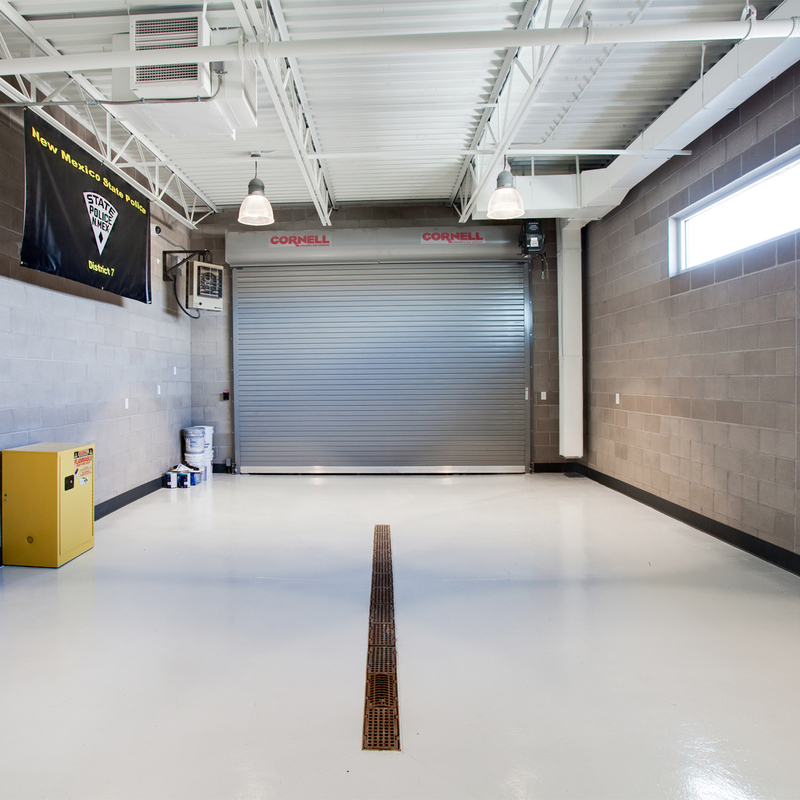 The new facility includes administration areas, locker rooms, staff lounge, interview rooms, investigation areas, sally port, booking and holding areas, and secured parking. 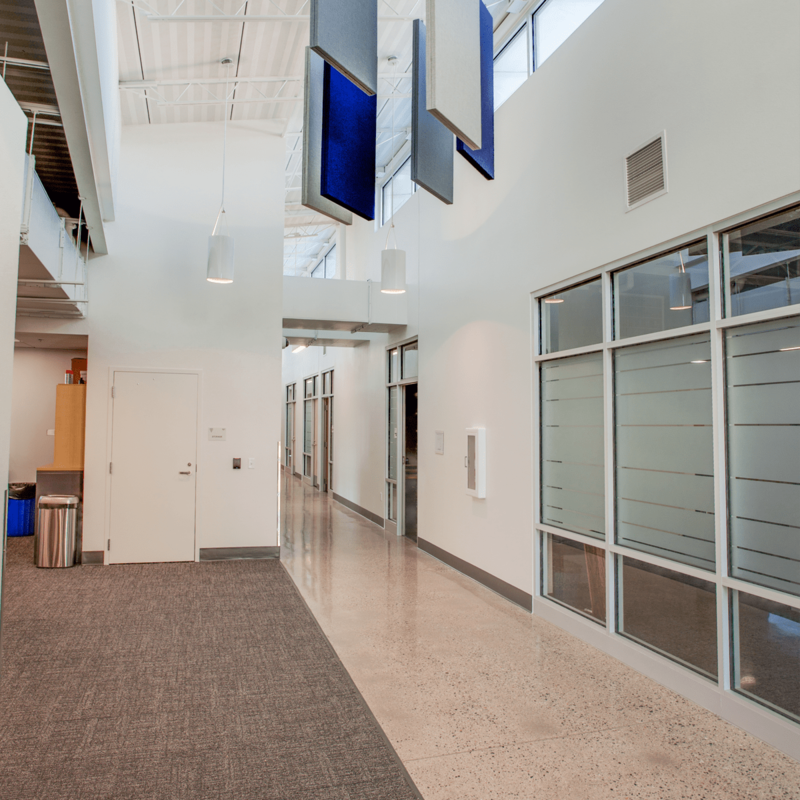 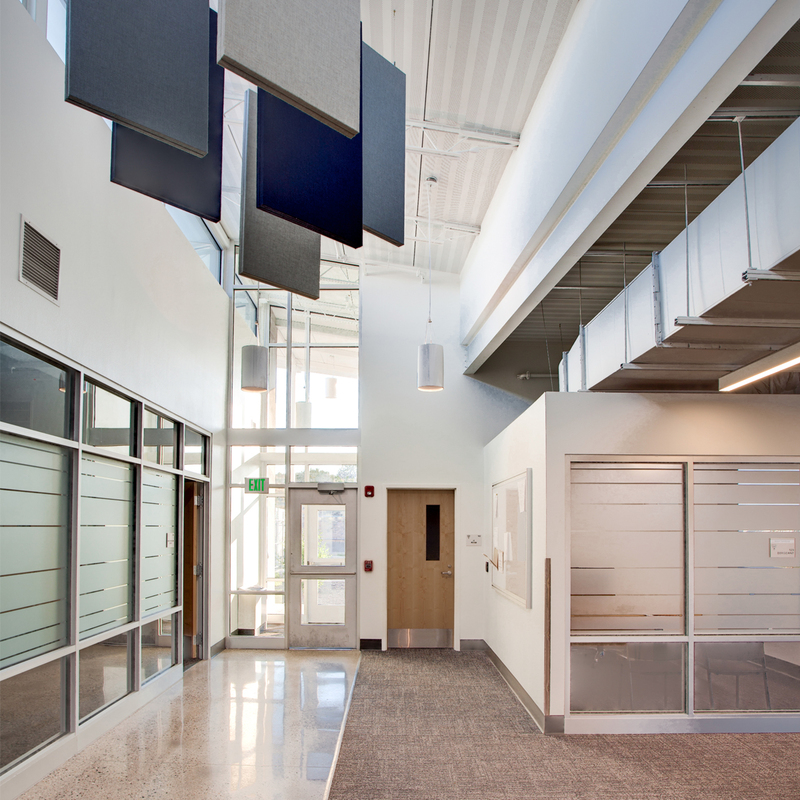 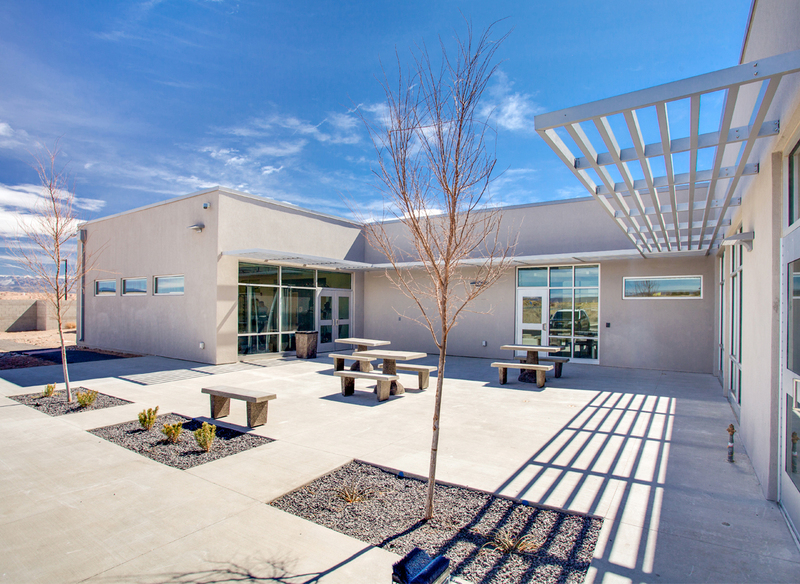 Taking cues from the Northern New Mexico culture and aesthetic the building is comprised of regional materials of stucco and masonry and are taking advantage of solar exposure with high South facing clerestory windows for abundant natural light throughout the facility.